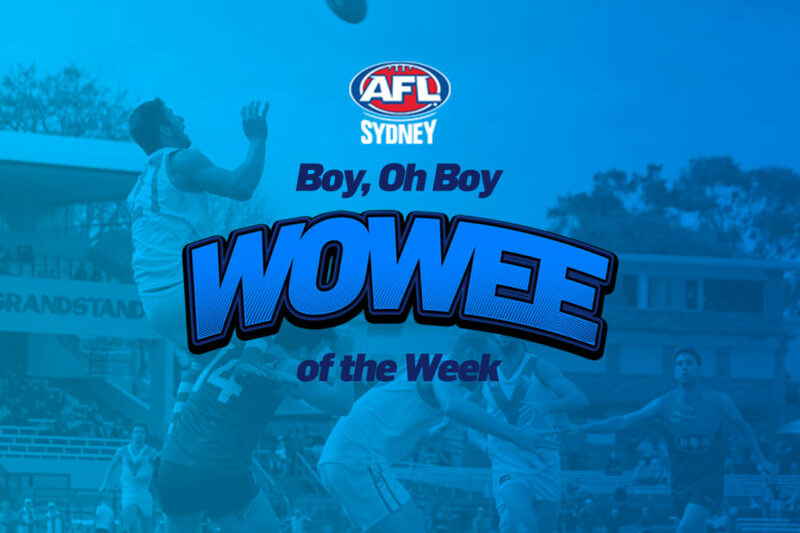 The Willoughy Mosman Swans in a special edition of BOBWOW. 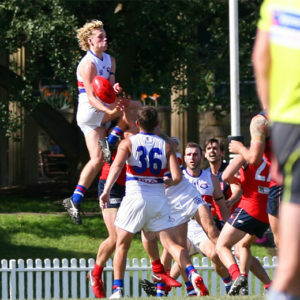 This spectacular mark as captured by Gabbi Stubbs, sees Kale Gabila leap tall buildings in a single bound – and bring the Sherrin down with him. 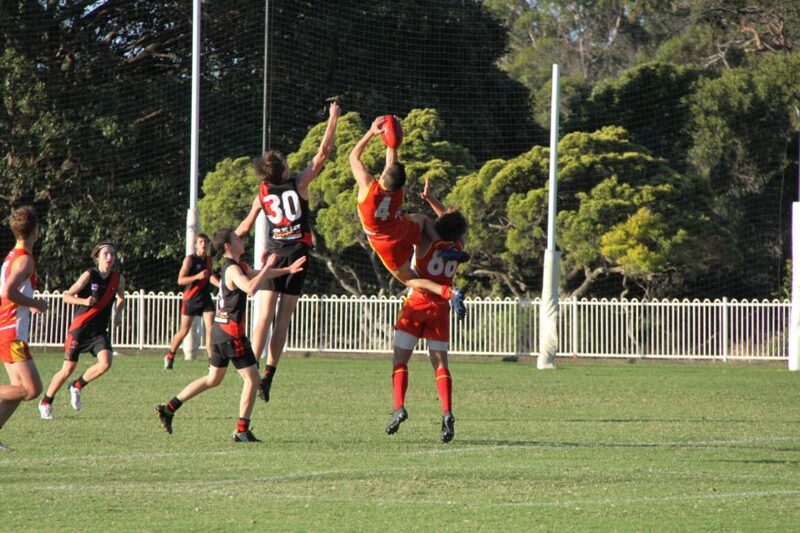 Although Kale took this mark as a Willoughy Mosman Swan, he is also an Under 19s player for the North Shore Bombers, and we can’t wait to see him bring this action into senior footy more often! A ‘confidential source’ from Mac Uni. 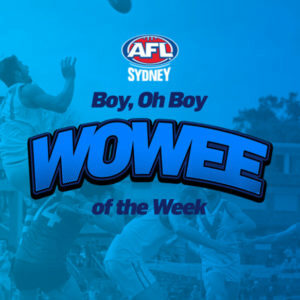 In our Round Four Boy, Oh Boy Wowee of the Week a bottle of Kombucha was spotted as a puzzling hydration technique on the Mac Uni Women’s bench. 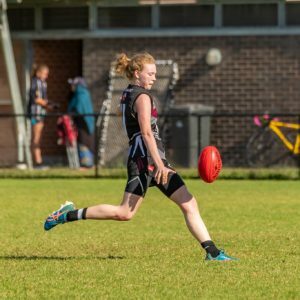 Much speculation followed as to who was sipping on the kombucha during quarter-time and many names were thrown around as the finger pointing began. Since we’ve have had an anonymous informant send through some new evidence. 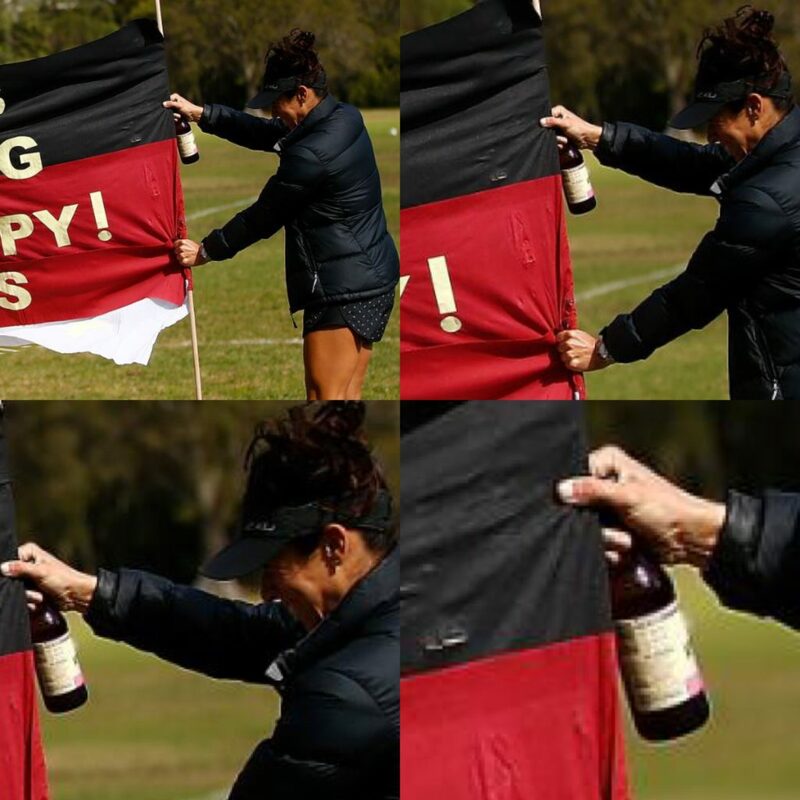 While we can not release the identity of the ‘snitch’, the evidence points straight to GWS GIANTS AFLW and Mac Uni skipper, Amanda ‘Fridge’ Farrugia who was supporting from the sidelines, as the culprit. Keep it in the fridge, Fridge! 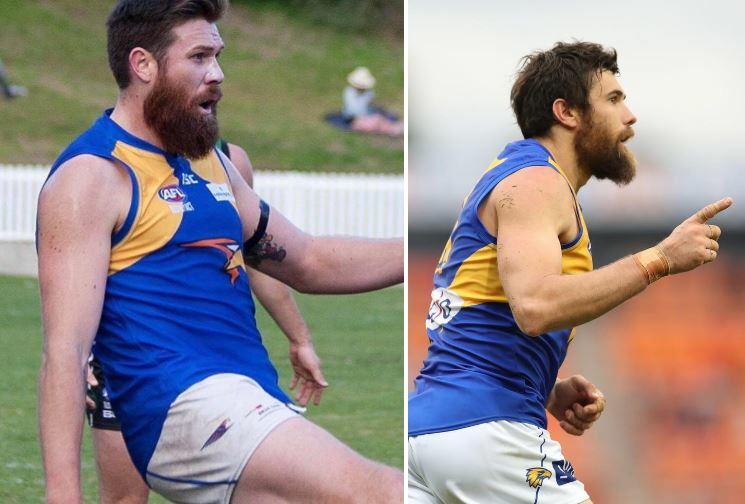 Trusty AFL Sydney volunteer photographer, Leigh Gazzard for capturing Andrew Browning from the East Coast Eagles doing his very best Josh Kennedy impression (…just by just being himself). Forget 2015 and 2016 Coleman Medalist JK, we’ll take Browny any day of the week. He’s on the left, for those unable to tell! 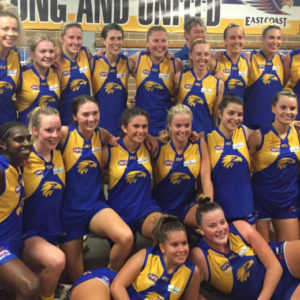 The South West Sydney Magpies for the success of their inaugural Ladies Day. 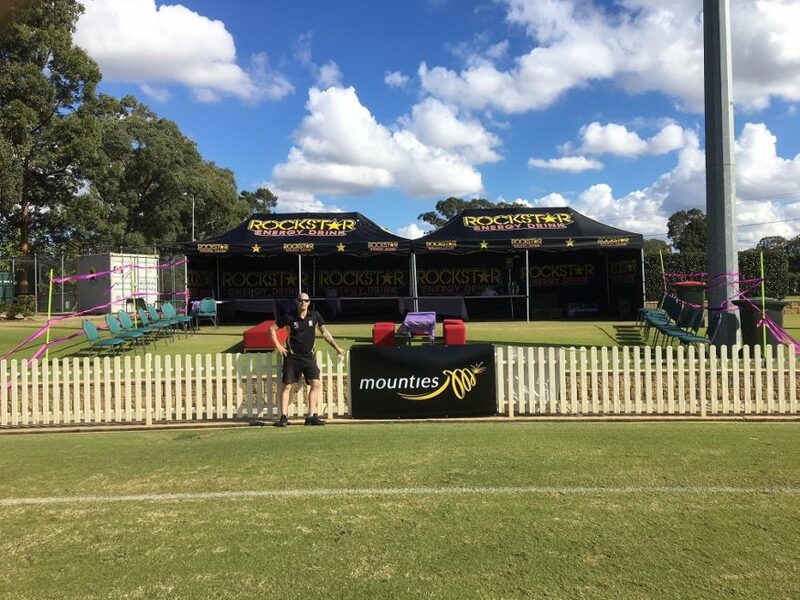 It was great to see the locals getting around the Magpies as they executed this new initiative for the club. While the Magpies were unable to defeat Balmain on the day, we hear supporters had an awesome day on the sidelines. Keep it up, Pies!